Home General Life Issues Circadian Rhythm Sleep-Wake Disorder – Do You Know What It Is? Since many people suffer from an irregular body-clock, there’s the occurrence of inconsistent sleep-wake cycles. Sometimes, it is due to the environment, job requirements, as well as mental and emotional state. Circadian Rhythm Sleep-Wake disorder or also known as “body-clock disorder” can account to many sleep problems such as insomnia, sleep paralysis, health deficiency, and so on. 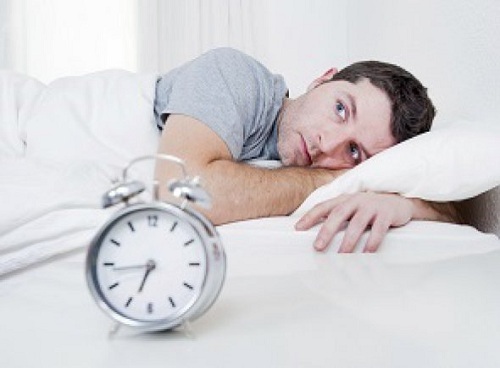 Delayed Phase Sleep Disorder – It is a condition where a person tends to have a hard time getting sleep. Typically, the sleepiness occurs between 1 and 6 am despite the best effort to get some rest and settle down to bed even hours earlier. And because a person falls asleep late, he’s naturally driven to sleep until late morning or early afternoon. Delayed phase sleep disorder becomes a problem when there’s an inflexible duty or task in the morning. Advanced Phase Sleep Disorder – A person with advanced phase sleep disorder, on the other hand, experience the opposite. There’s trouble of keeping oneself awake. Most of the time, it’s difficult for him to keep his eyes open and always feel the need to go to bed. Though it may not seem to cause a problem, it does on some people. Let’s say you get home from work and fall asleep on the couch at 7 pm and wake up at 11. There’s a tendency that you won’t be able to go back to sleep until 3 to 4 am. Since the sleeping order becomes choppy, the energy becomes insufficient. Non-24 Hour Sleep-Wake Disorder – It is a condition where a person has a longer 24-hour body-clock. Usually, an individual suffering from this condition goes to bed later and later every single night. From there, he creates a new set of sleep time-frame where there’s no automatic procedure. The body is not adaptive to any factors such as noise and light. The person with this condition can either choose to be awake or asleep anytime they want. That’s due to the developed complete day-night reversal. Shift Work Sleep Disorder – The condition where excessive sleepiness and insomnia affects a person’s daily function. That’s because it overlaps with the typical sleep period one has to complete. Shift workers often sleep in odd hours making them experience insomnia along with other digestive problems. In some studies, shift work sleep disorder can lead to diabetes, different stages of cancer, and other mental health issues. Jet Lag – Jet lag or clinically known as “desynchronosis” is a collection of symptoms from traveling with different time zones. It is a result of circadian rhythm disruption. It is a condition where time affects the person and ruins its normal sleep cycle. Usually, when an individual has jet lag, his body temperature becomes messed up. Therefore, most functions of his body begin to either explode when reaching high levels of energy or deteriorate when too much in use. These disorders interrupt the natural progression of sleep which can cause a severe problem in the long run. Primarily, it’s due to disruptive habits and lifestyle factors of the modern world.